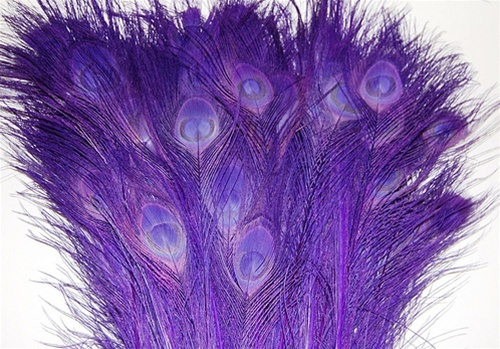 Peacock Tails that are Bleached and then Dyed to a color. 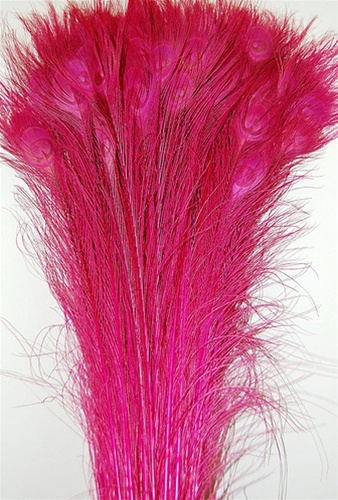 The Stick and the feathers will show the color. Good for decorations,vases, Carnival, Mardi Gras and various other accessories. Sold by the Hundred only.